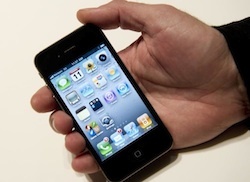 Should You Use a Parental Control App on your Child’s Iphone? Do you really need a parental control app? We all do our best as parents and I believe we all try to encourage trust with our children among the people in our community and direct networks. The good news is, most of us probably can. Even though we trust our children to make the right choices, and in much fewer cases do we trust the people around our children, the use of technology can help ensure our children’s safety. A little extra knowledge can be useful! Parental control apps on the IPhone offer parents a chance to gain insights and offer a road to more communication. Monitoring apps also give children a new, and sometimes easier, way to communicate with us than existing methods. Parenting apps like MamaBear can offer options and reassurances. The biggest hurdle most parents overcome when installing a parental control or monitoring app on their child’s phone is acceptance. Parenting apps offer much more than just monitoring and control options, and with a little explaining about the safety features, our kids understand this. GPS tracking for emergencies is becoming more and more common, and several parenting apps offer families an emergency call button. Apps like MamaBear with variable alert settings and options allow parents as much or as little monitoring as they want. When the kids are in an emergency, need to quickly check in or discreetly ask for you to pick them up, they’ll begin to understand why you installed the MamaBear app. When children first join social media networks like Facebook and Instagram, a parental control app with social media monitoring features like MamaBear can be invaluable. Social media, combined with a smartphone, gives children connectivity to the world that most of us parents never imaged. A tool like the MamaBear app gives you an eye into their behaviors as they take their first steps on social media. Parental control apps and monitoring apps can also be helpful when a child learns to drive. We all know we have to trust our kids with the keys at some point, but sometimes we need a little extra reassurance. With such a big, new responsibility like driving, most children understand that parents simply want to know they’re safe and the use of apps like MamaBear can do just that! Monitoring a child’s driving speed and where they’re traveling in the car is a standard use of parental control apps. There are plenty of reasons to monitor and install parental control apps. Major changes and additions to the life of a child, (like giving them a new phone, joining a social site or driving) can be a great time to introduce MamaBear, both to give parents some insight and reassurance. When a child first joins Facebook or Instagram, or learns how to drive, extra monitoring is only natural and should be easily acceptable by the child given the stories we read. Using the latest technology, like MamaBear, for monitoring just makes sense. The MamaBear child tracker app is available free during beta-stage on Iphone and Android. Previous PostPrevious Looking for an App to Help With Tracking Kids? Here Are a Few Options!